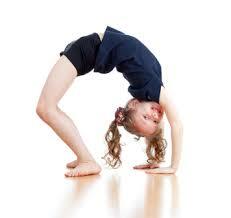 Tumbling is a form of gymnastics that develops core and upper body strength. Tumbling is an official Tom Newby School sport but is outsourced to Eagles Tumbling Club. The cost of training is not covered by the school and parents enter into a contract with this service provider. Please contact the organiser to enquire about fees, times and competitions. Tumbling is offered to learners from Grade 1 – 7. Tumbling is offered throughout the year. Practice and competition venues are off-site and parents need to make their own travel/transport arrangements. The school tracksuit and TNS tumbling uniform is worn for practices and matches. Eagles Tumbling Club provides all of the gymnastic equipment required for this activity.